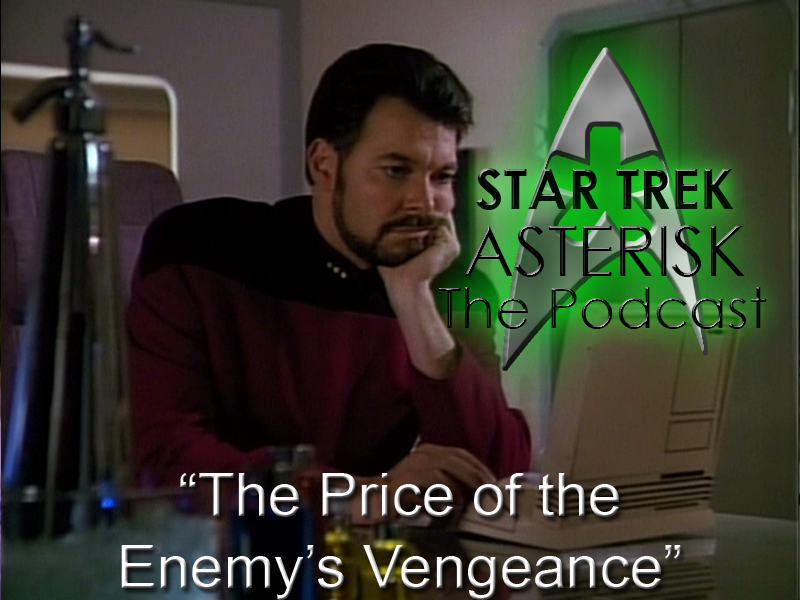 Star Trek: Asterisk "The Price of the Enemy's Vengeance"
And here we are once more to talk about three more episodes of Star Trek: The Next Generation. Today I'll explore the plots of "The Enemy," "The Price," and "The Vengeance Factor." And might I just say, thank you to all you loyal listeners. It means a lot to me to know that this isn't just going out into the ether, but that people are really listening. It's almost as if my cries for attention are actually being answered, as opposed to the Ferengi in "The Price." They just get stuck in the Delta Quadrant. Hailing frequencies are open at 513-ASTRISK. Call and ask me your questions about Life, the Universe, and Everything. In the meantime, check out everything we've got on the site and maybe our YouTube page. There's something for everyone. Enjoy.